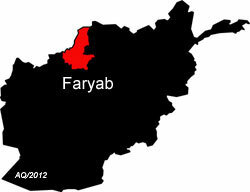 Tolo News: Residents in northern province of Faryab Saturday said that the political tumult between Junbesh and Jamiat parties has forced dozens of families to evacuate the area and the Taliban is instead making a new push to exploit the rivalry and gain a foothold in the strategic region. Jamiat-e-Islami party which is led by minister of foreign affairs Salahuddin Rabbani has been in confrontation with Junbesh-e-Milli Islami which is led by President Ashraf Ghani’s first VP General Abdul Rashid Dostum. The two parties are among the influential parties in northern Afghanistan. Click here to read more (external link).